The supportive oncology program offers a range of helpful services for cancer patients and their families. For patients facing cancer, having to juggle an accompanying heart condition can make a critical illness even more complex and stressful. At the University of Chicago Medicine, we realize this special group of patients requires the highest level of expertise and coordinated care to ensure the best possible outcome. The UChicago Medicine cardio-oncology team works with patients with pre-existing cardiovascular conditions like coronary artery disease or high blood pressure to optimize their heart health. This increases a patient’s chance at receiving all of their cancer treatment safely, whether it be chemotherapy, a stem cell transplant, immunotherapy or surgery. Many cancer treatments have unintended side effects on the cardiovascular system, such as difficult to control high blood pressure, plaque in the arteries, weakening of the heart muscle or abnormal heart rhythms. That’s why our UChicago Medicine cardio-oncology team uses state-of-the-art imaging techniques to detect early signs of cardiac side effects before more significant complications develop. In many situations, standard heart medications started early on can prevent further damage to a patient’s heart or arteries, thereby allowing the patient to complete a treatment. Our goal is to ensure patients receive the best cancer therapy without having to compromise or interrupt their treatment because of a heart condition or cardiovascular side effects. For patients whose cancer treatments have ended, we also offer long-term cardiac care and surveillance for any cardiac side effects that may occur later on. You’re currently being treated for cancer or you’re a cancer survivor. Why choose UChicago Medicine for your heart care? With more than a decade of experience helping cancer patients with heart conditions, UChicago Medicine was the first institution in Chicago to establish a specialized, multidisciplinary cardio-oncology team. 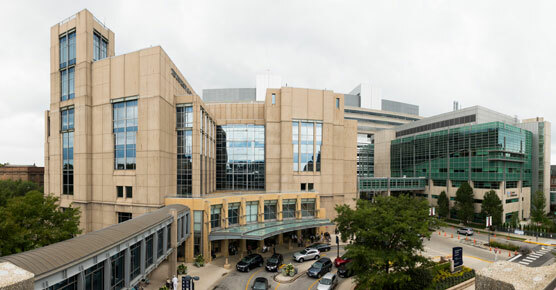 UChicago Medicine is a national leader in cardiac imaging, one of the most important diagnostic methods of screening for cardiac toxicity from chemotherapy. UChicago Medicine physicians have pioneered many techniques used in cardiac ultrasound (called an echocardiogram) such as 3D imaging. We also have expertise in cardiac magnetic resonance imaging (MRI), another useful tool for monitoring cardiac side effects during cancer treatments. Our streamlined referral process ensures patients who are most in need quickly access our expertise. This is also critical for heart patients seeking to participate in — and prepare for — cancer clinical trials. Patients receiving their cancer treatments at institutions other than UChicago Medicine are welcome, as are all cancers and heart conditions. Our specialists communicate closely with off-site oncologists and cardiologists to ensure uninterrupted patient care. Our team includes some of the nation's best minds in cardiology, cardiac surgery and vascular surgery. 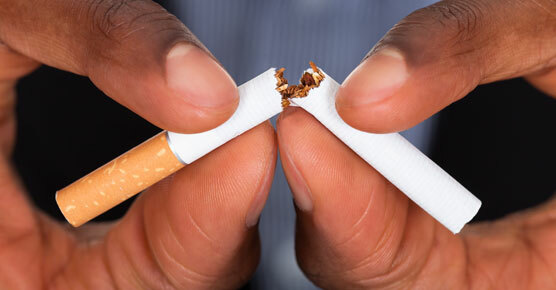 Everyone’s journey to quit smoking is different, but you don’t have to do it alone.